Xiaomi Redmi Note 5 Pro (6GB RAM + 64GB) has better RAM than Vivo V9 Pro (4GB RAM+64GB). In terms of display resolution, Vivo V9 Pro (4GB RAM+64GB) has better resolution of 1080 x 2280 than Xiaomi Redmi Note 5 Pro (6GB RAM + 64GB) which has resolution of 2160 x 1080. Both have the same amount of internal memory. The launch Date of the first phone is October, 2018. The cost of Vivo V9 Pro (4GB RAM+64GB) is Rs. 14990. The launch Date of the second phone is February, 2018. The cost of Xiaomi Redmi Note 5 Pro (6GB RAM + 64GB) is Rs. 13499. Xiaomi Redmi Note 5 Pro (6GB RAM + 64GB)'s larger 6 GB RAM is better for playing games and all with respect to Vivo V9 Pro (4GB RAM+64GB)'s lower 4 GB RAM. and both have same Internal Memory of 64 GB. Both of the devices have Memory Card Slot. Vivo V9 Pro (4GB RAM+64GB) has better rear camera Resolution of 13 MP to Xiaomi Redmi Note 5 Pro (6GB RAM + 64GB)'s camera resolution of 13 MP. 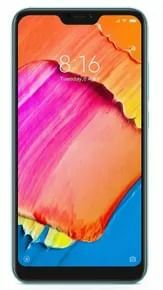 Xiaomi Redmi Note 5 Pro (6GB RAM + 64GB) will be better choice if you're looking to click lot of selfies as it has better Front camera resolution of 20 MP in comparision to Vivo V9 Pro (4GB RAM+64GB)'s camera resolution of 16 MP. Both the phones has Android Operating System but the first one runs on version 8.1 and the second one on 7.1.2 version.